(VEN) - The economic growth of Southeast Asian nations will be positive over the next three years as domestic demand increases strongly and the global economy gradually recovers, according to a newly issued World Bank forecast. 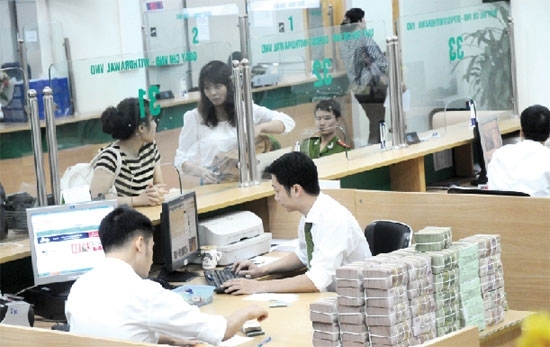 For the Vietnamese economy the bank forecasts growth of 6.3 percent in 2017, and 6.4 percent in each of the next two years. The WB forecasts that economic growth of Southeast Asian nations will reach 5.0 percent in 2017 and 5.1 percent in 2018, higher than the 4.9 percent of 2016. Strong domestic demand, including increased spending on public services, private consumption and investment, will continue to drive growth in the region. The slow pace of recovery in commodity prices will benefit commodity exporters in the region, but won’t unduly hurt the economies of commodity importers. In addition, the recovery of the world economy will also positively affect economic growth of the region in the coming years. Vietnam’s economic growth will be positive during the 2017-2020 period thanks to the recovery of the world economy that will help export activities. In addition, an increase in foreign direct investment will also contribute to Vietnam’s economic growth. Sudhir Shetty, the World Bank’s chief economist for the East Asia and Pacific region, said that despite Vietnam’s positive economic growth prospects for the 2017-2020 period, the country should prioritize measures to cope with global risks that could threaten the availability and cost of external finance, as well as export growth. In addition, it must expand export markets, and strengthen policy and institutional frameworks to spur increases in labor productivity. This recommendation comes in the face of rising protectionism outside the region. US President Donald Trump has vowed to impose a 20-percent tax on goods from Mexico and Canada. It is unclear how this move would affect Vietnam, but the protectionist sentiment it reflects may not augur well for export turnover and economic growth given that the US market accounts for 20 percent of Vietnam’s total exports. Victoria Kwakwa, WB Vice President for East Asia and Pacific, said appropriate policies and a gradual pickup in global economic prospects have helped developing countries in the region sustain growth and reduce poverty. However, in addition to perfecting institutional frameworks, creating conditions for the development of domestic business and increasing labor productivity, Vietnam will need to reduce fiscal vulnerabilities, while improving the quality of public spending and fostering global and regional integration. The Ministry of Planning and Investment’s National Center for Socio-Economic Information and Forecast foresees that Vietnam’s economic growth will reach 6.3-6.5 percent in 2017. However, to achieve this growth, the government needs to maintain macroeconomic stability in order to create trust for investors and the business community, and speed up disbursement from the state budget and government bonds.